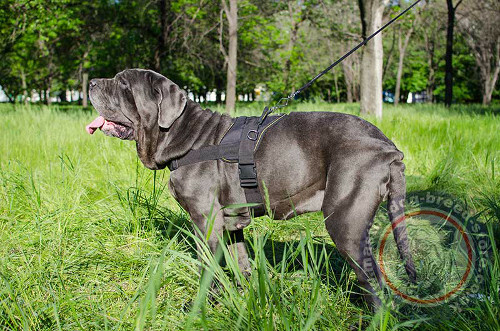 Buy Mastiff Harness for Dog Sport, Walking and Training, Bestseller! Home Mastiff HarnessesMastiff Harness for Dog Sport, Walking and Training, BESTSELLER! Mastiff Harness for Dog Sport, Walking and Training, BESTSELLER! 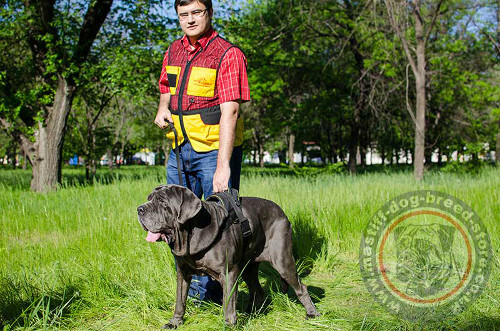 Sport dog harness is the embodiment of the best features of a functional, reliable, comfortable dog running harness for big mastiff breeds. 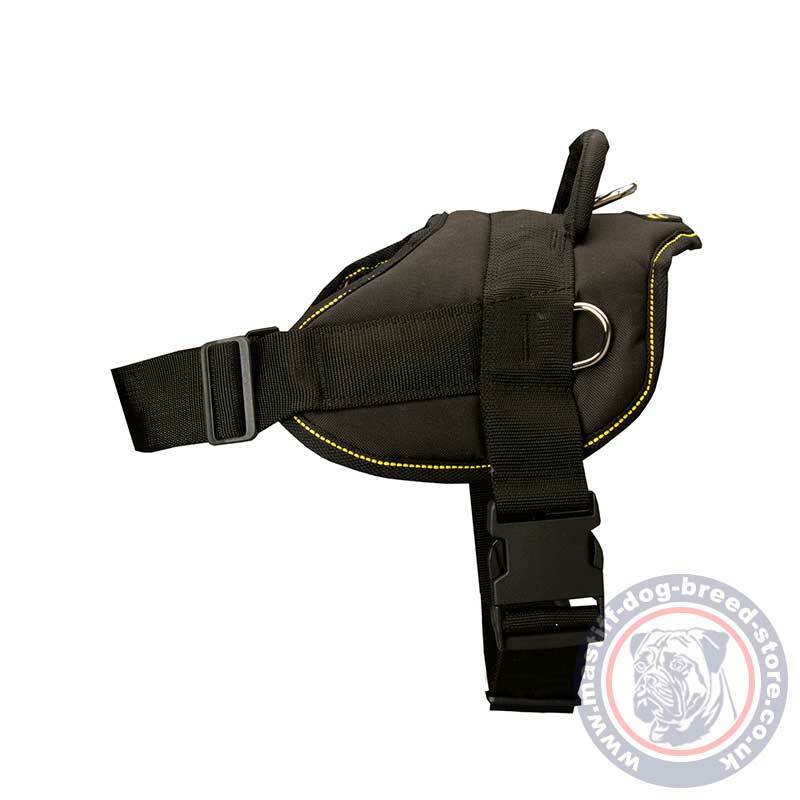 In the intention to make this sport dog harness extra durable, we made it of top quality nylon. This material makes this mastiff harness super durable, light and strong at the same time, easy in cleaning, drying and storage. Nylon dog running harness is perfect for wearing in any conditions. Your dog will be under your control in frost, rain or heat without any discomfort. 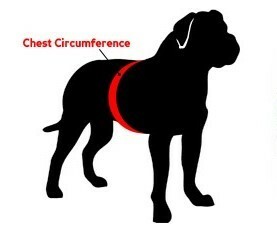 Sport dog harness designed for mastiff is the right choice for tracking, pulling, walking, training and service. Its advantages are admitted by many professional trainers and common dog handlers all over the world. Try the bestseller sport dog harness and enjoy comfort in any activity with your dog. 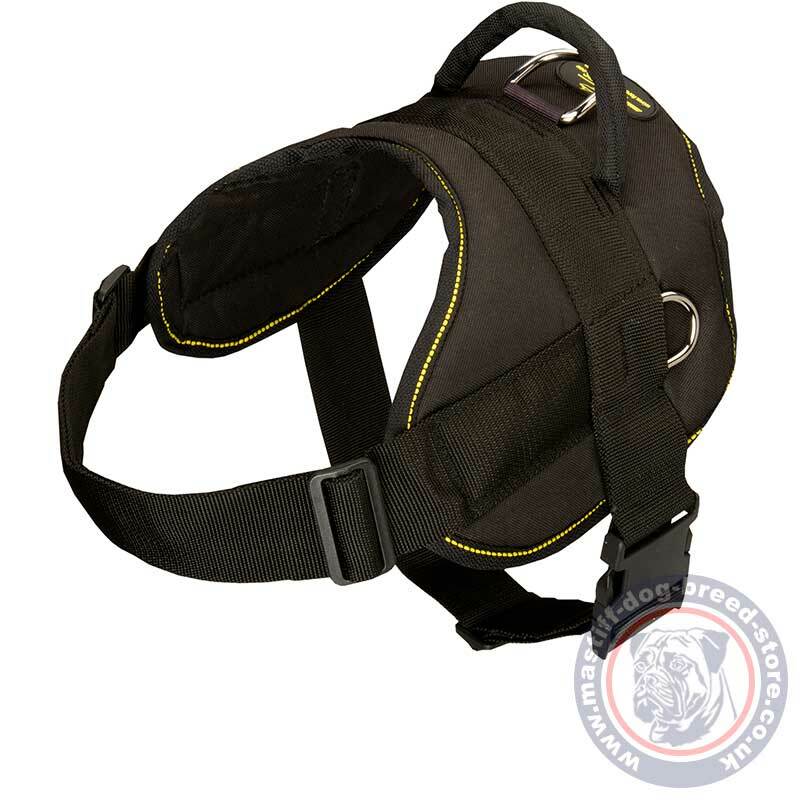 Sport dog harness for mastiff is easy to adjust with the buckles to make it fit your dog maximum reliably and comfy. Your dog will feel perfectly, free and move actively wearing the sport dog harness.